A face with round eyes, slightly downturned mouth, high-set eyebrows and drop of sweat. Things did not go according to plan for this emoji, but the damage is done and it is time to move on. To look down upon something but there is hope. 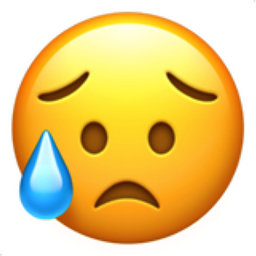 SMH#3 iEmoji old name: Sad with small tear. Shedding a single tear.